The time has come to let them go. Although they’re definitely due for retirement, I wasn’t allowing it. Until they physically forced me to. These shoes loved even when I was a bit chubbier. They accompanied me on my first half marathon. 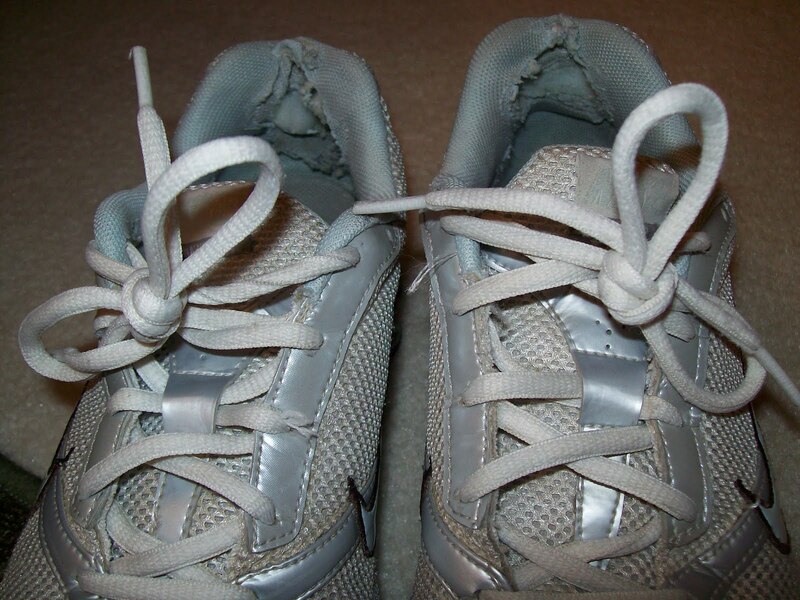 I kept the half marathon chip attached to the laces for months after the race was over as if I won a gold medal. They diligently log 100+ miles a month with me. I didn’t want to see them go. I didn’t want to have to trade them in for a younger, newer model. I feel like a pathetic middle-aged man going through midlife crisis. I’m sorry: my head is saying no, but my heels are saying yes. These new shoes are pretty sweet. They look like they were sent from the future in a time machine. But I didn’t want to rub that in your face. I’m sorry, this is your day. Beauty has nothing on friendship and loyalty, any way.